Before Akzent II came to Oldenburg in 1985, he gained a great reputation in Hanover as a private stallion. At his new home, he continued his successful stud career. His son, Aczidos was placed 4th in the Federal Championships of riding horses in 1989 and top priced lot of the Verden sales (DM 130,000). 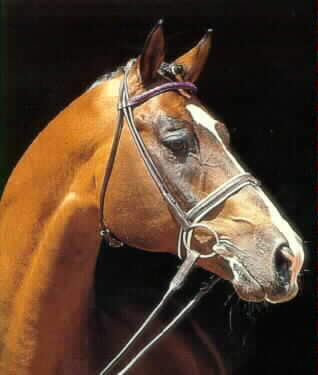 In 1991 Love Story II was champion mare in Oldenburg and three full sisters and brothers caused a stir: Adios, a dressage champion at the Federal Championships in Munich; Atachi, top priced lot of the Verden sales (DM 210,000) and Alabaster, most expensive young stallion of the Oldenburg approval.